51317 Thrust Ball bearing. This is a popular size that can be used in many applications that use the size 85mm x150mm x49mm. 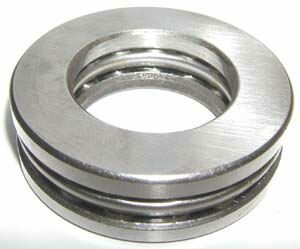 Thrust bearing is known for high axial or vertical loads. Bearing is made of Chrome Steel.